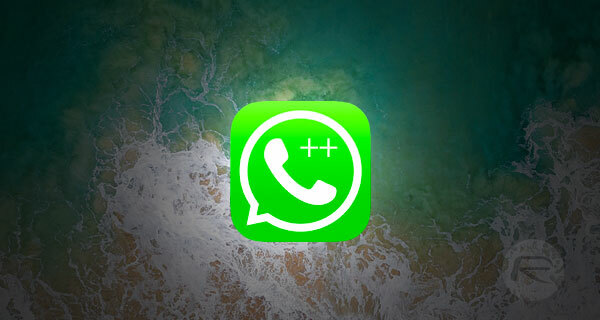 Here’s how you can download WhatsApp++ IPA on iOS 11 running iPhone. No jailbreak is required for this to work. This is basically the holy grail of WhatsApp messaging. It offers everything you would expect from WhatsApp, but with the addition of new features like Stealth Mode, custom themes, the ability to send unlimited media items per message, and even passcode and Touch ID support for those who want to lock the app down from intruder use. Let’s jump right in and see how to get it on your device. Step 1: You can’t even begin to think about getting the WhatsApp++ experience on your non-jailbroken iOS 11 device without having the necessary IPA file in your possession. Rest assured that we aren’t going to make you trawl through the Internet to find the necessary file, so, with that in mind, you can access it immediately from here and then continue following the instructions below. Step 3: Congratulations! WhatsApp++ should now be installed on your iOS 11 device. But wait, there’s a catch. It doesn’t actually work yet. Launch the native Settings app and navigate to General > Profile(s) & Device Management. This is where you will find the profile which has been installed with the app and that you need to tell iOS to trust it before it will work. Step 4: Tap on the profile in question and then tap on the Trust button in the middle of the display. If a secondary alert or action sheet is displayed then tap on Trust again. This will make the profile part of the iOS trusted sources. Step 5: You can now exit out of the Settings app and head to the Home screen on your device where the app is installed. Tap on the icon to launch it just like you would with any standard app. And that’s about it. 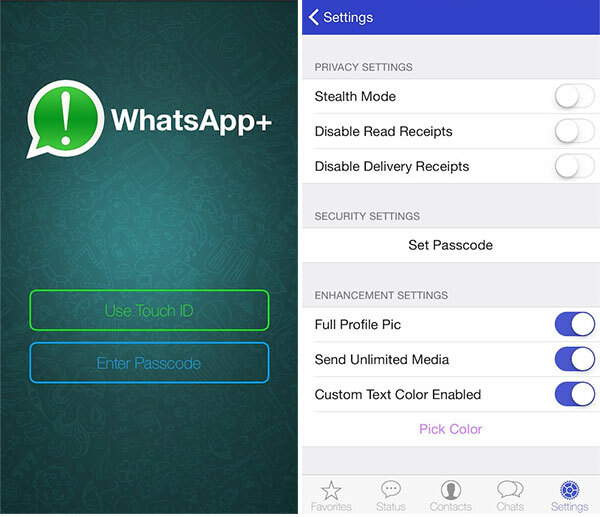 Enjoy the WhatsApp++ experience on your non-jailbroken iPhone. just to be sure: what’s about the existing Chats and so on? Can this be imported from the backup like with a new installation of Whatsapp? And the other version has to be uninstalled first? Could we get banned just for using this application? I’ve been searching for some information about this subject and no one mentioned anything about this modified version for iPhone. Was that, ban wave I mean, for Android only or..? Does this app has Anti-Ban function ot not? “I would like to take this opportunity to publicly express my gratitude for your amazing whattsapp hacking software that helped me remove a few pictures of me somebody posted on whattsapp and instagram without my permission. It was incredibly easy to hack Instagram and it took like a minute or two, thanks. Genuinetruthfinder@gmail.com. or text / telegeam +1 203 759 8445 . She has been of great help to me and i believe she can be to you…….